Francesco Fiore, born in Rome, studied in Rome with Lina Lama and Massimo Paris, and then in Cremona with Maestro Bruno Giuranna at the Stauffer Academy. Winner of many performing contests, he is considered on of the most interesting musicians of his generation: he has been invited to the most important festivals and halls in Rome, Milan, Turin, Siena, Spoleto, Brescia, Stresa, Bologna, Florence, Venice, Verona, Naples, Cremona, but he also played around Europe, United States, South America, China and Japan. As soloist or as chamber musician he has been in collaboration with artists like Salvatore Accardo, Boris Belkin, Uto Ughi, Pierre Amoyal, Renata Scotto, Bruno Canino, Antonio Pappano, Alfons Kontarskj, Alexander Mazdar, Michele Campanella, Andrea Lucchesini, Rocco Filippini, Alain Meunier, Bruno Giuranna, Franco Petracchi, Gabriele Pieranunzi, Rainer Kussmaul, Pavel Vernikov or David Lively. He has recorded for many record companies (RCA, ASV, Fonit Cetra, Fonè and Musikstrasse) and for magazines as “Amadeus”. A recent recording for Decca, dedicated to Mendelssohn’s youth chamber music compositions, made with G. Pieranunzi, S. Downes and G. Geminiani with the pianist R. Prosseda has received many positive reviews by italian and international critics. Since 1990 he has been the first Viola of the Teatro dell’Opera in Rome; he held the same role at Teatro alla Scala in Milan, at the Orchestra of Santa Cecilia, at the National Symphony Orchestra of the RAI in Turin. 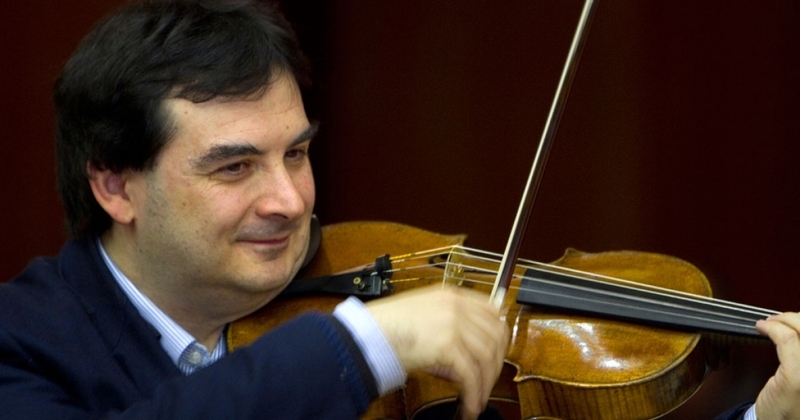 He is actually the first Viola of the Orchestra da Camera Italiana, founded by Salvatore Accardo. He plays a Viola by Joseph Hill (London, 1774), a Viola by Vatelot Etienne, (Paris, 1987), and a Viola d’amore by Raffaele Fiorini (Bologna 1894).